Tyler, a well- known jazz saxophonist that would prove to be Steve's biggest musical influence and inspiration. At the age of fifteen, Steve decided to pursue jazz as a life long ambition. Steve's uncle Jimmy suggested that he should get serious and study with the great drummer and master teacher Alan Dawson. With that advice, Steve began an intense three-year study with Mr. Dawson. 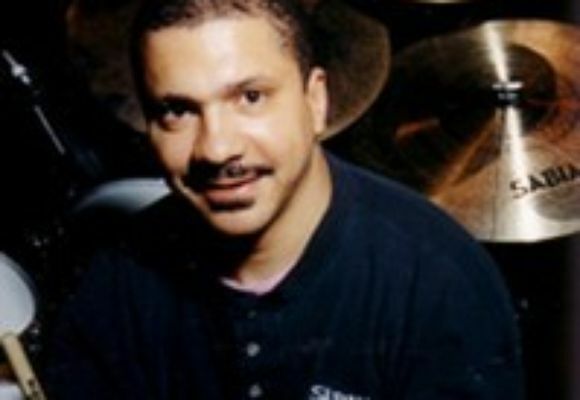 Steve also studied with Boston based drum guru Bob Gullotti. While in high school, Steve participated in many musical activities such as concert band and jazz band. Steve also won chairs in district jazz band and all state jazz band. In 1979, after graduating Natick High School, Mr. Johns enrolled at the New England Conservatory of Music in Boston and studied classical percussion with Fred Buda and Vic Firth. While at NEC, Steve met and played around Boston with local greats James Williams, Billy Pierce, Jimmy Mosher, Miroslav Vitous, Jerry Bergonzi, Tiger Okoshi, Mick Goodrick, Jeff Berlin and Mike Stern. In the spring of 1982, Steve decided he would take his chances and move to New York City. Shortly after arriving, he started meeting and working with some of the great known and unknown young jazz musicians at the time such as Joe Locke, Ralph Moore, Bill Evans, Steve Slagle, Conrad Herwig, Vincent Herring, Kevin Eubanks, Rodney Jones, Lonnie Plaxico, Dennis Erwin, Dave Stryker and Benny Green. in which he recorded 75 shows with guest including Wynton Marsalis, Nancy Wilson, Joe Lavano, Arturo Sandoval, Ray Barreto, Milt Jackson, Jon Faddis, Randy Brecker, Grover Washington, Gary Burton, Harry Sweet Edison etc. Mr. Johns is active with his own recording projects, one of which is co-lead with saxophonist Peter Brainin entitled Ceremony on Malaco Cats Paw Records. Personnel include: Ben Monder and Sean Smith. Another recording again co/lead with Brainin and Johns entitled No Saints/No Sinners is on Playscape records and personnel include: Eddie Henderson, George Cables, Conrad Herwig, Jay Anderson and Chris Rogers. As well as having a busy performance schedule, Mr. Johns has taught at the Vermont Jazz Center, The Jazz In July Program at UMass, The Thelonius Monk Institute in Aspen Colorado, Williams College in Massachusetts and is currently an adjunct instructor at Montclair State University. Steve resides in the NYC area with his wife Debbie Keefe who is a professional jazz saxophonist and music educator. They have a son Daryl Keefe Johns who is twelve years old and plays the acoustic bass.